With the stock editor now supporting custom filters in a reasonable way, creating more and better filters is the next logical step. However, the requirement for categories to be managed via code is just a terrible idea. Not to mention that there is no easy way to be compatible with anyone else. Filter Extensions allows the usage of .cfg files to create, edit, or delete all categories and sub-categories. It uses standard config files allowing for patches to be applied and dependencies allowed for using Module Manager. Plugin is covered by GPLv3. // Normal stuff: name, icon, colour, etc. // will just be added to the end of the list. Refer to the first spoiler for details on templating and addressing subcategories. Filter Extensions uses two root config node types, CATEGORY and SUBCATEGORYCATEGORY nodes set category name, icon, colour of its subcategories, which subcategories are present and in what order, and can restrict what parts show up in their subcategories using the same syntax as the FE subcategoriesSUBCATEGORY nodes do most of the work wrt which parts are actually visible. They only have 4 possible entries: name and icon, "showUnpurchased" to override the plugin setting, and a set of FILTER nodes which decide which parts are visible. The subcategories are referenced by name when setting up a category and can be added to as many categories as you like. Each CHECK node contains a single condition a part must pass to be visible. Each FILTER contains one set of conditions. If a part passes all the conditions in a FILTER, it will be visible. To change the icon and title displayed, use the keys title and icon. stupid_chris through RealChute which I originally used as a template. Getting started would have been much more difficult without that reference. Exceptions: Red text in the alt+f2 log, functionality breaks down completely, etc. E: Never mind, wrong assumption. FYI, you have MM 2.8.1 and 3.0.1 both included in your "last successful artifacts" for Build #10 on Jenkins. Quick question semi-offtopic: Are you moving all your adopted (and otherwise) mods to Jenkins? I love having that available. And a followup - is Jenkins capable of pushing the changes to Spacedock (and therefore CKAN) on a successful build for a release version? If so, am I right in saying: Github & Jenkins setup looks like a good way to maintain things, reducing the time you spend on it to coding and testing, eliminating a lot of the overhead and fuss - correct? Is it worth the time/effort to set it up? Nuts, I thought I had fixed that, thanks. And yes, as I work on mods, they get moved to Jenkins. I've updated the file, the extra MM dll is gone. With all the mods I have on my save, this mod is a must have. Although recently I started a new save with part unlock on and with this mod installed non of the parts show up in the menus. You can just buy the in the R&D / Typing the part name, but it's quite annoying. With Advanced Jet Engines installed all my jet engines are under the nuclear engine category. AJC is changing all the module names, so Filter Extensions has no idea what to do with them. You are too awesome man. That does give a new category that pulls in alot of the jet engines, but they also still appear in the nuclear engine category. It does not catch things like KAX props that have AJE configs, those still only show in Nuclear Engines. Ah, well, I was concentrating on the jets and learning the FE syntax at the same time. This problem is happening because AJE is removing the IntakeAir as a propellent. 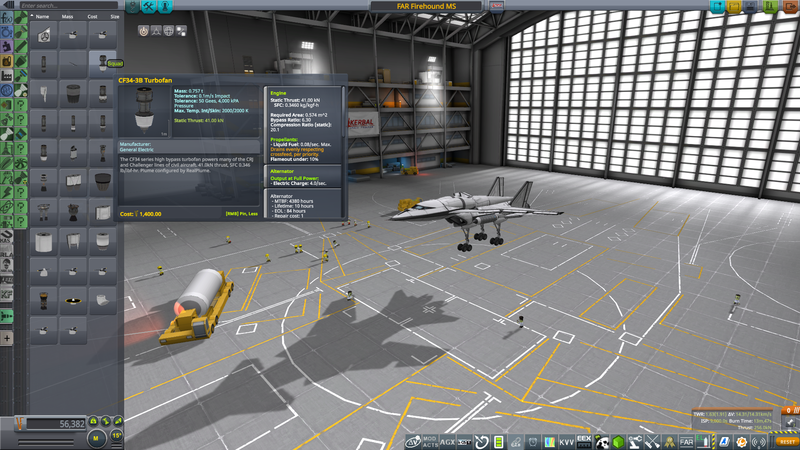 FE displays the engines sorted by the propellents the use, and now jets only use liquid, as does nuclear engines. The category is really engines that only use liquid, which up until now was only nuclear. Is the filter by module list auto generated? TweakScale module is not listed and would be handy to see a list of every part with tweakscale active for updating my tweakscale limited mod. I looked through the configs and could not find anything about that defined filter by modules. So, it looks like TweakScale does not add anything to the right click menu in the vessel editor, which is probably why this is not picking it up to make a module category. Let me take a look, I think there is a way to filter by module. Keep in mind that it will show every part that has a tweak scale module installed. 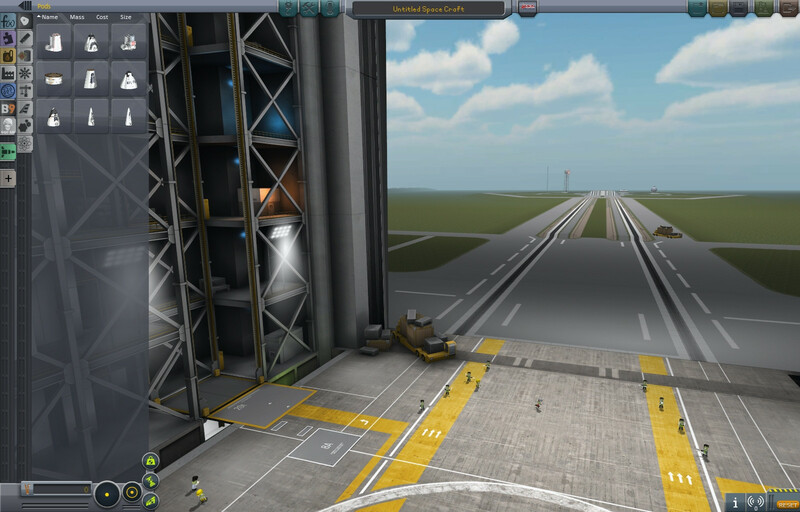 Thanks, yeah I'm updating my tweakscale limited mod to eliminate tweakscale from everything but simple parts (tanks, structural, etc), That way all the complex parts will be able to be upgraded with KRnD. Unzip it in the GameData directory, it's contents should merge with what's there already. Is it possible to do a combo filter? Like showing every part with crew capacity, that does not have a connected living space module? That would be a useful one to check on. You know what would be really cool is being able to do a complex search like that in the search field at run time. Like if I type +CREW -CLS into seach it would just magically show me all those parts. You could do it yourself, just look at the current files.